ladders are good for white. can white play this way if she wants to keep black low on the left side? 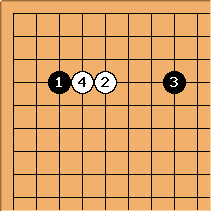 this is technically a 'quick question' but i think it's more in the spirit of a wiki if you just create a branch for this on our wonderful, massive joseki tree.